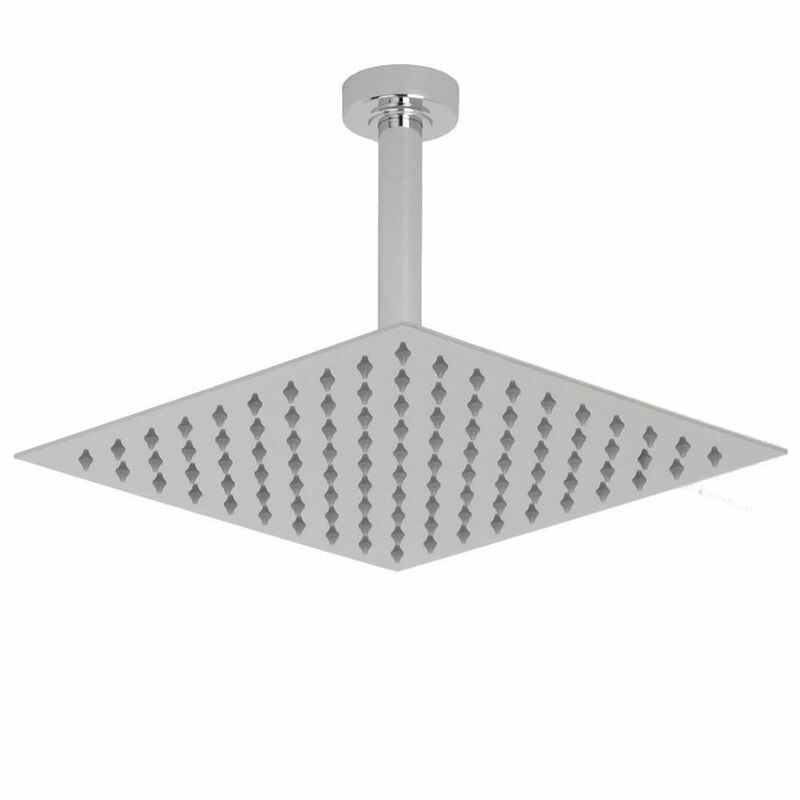 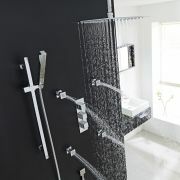 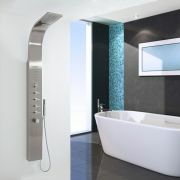 Add a touch of beautiful designer style to your bathroom with this ultra-stylish Hudson Reed shower system. 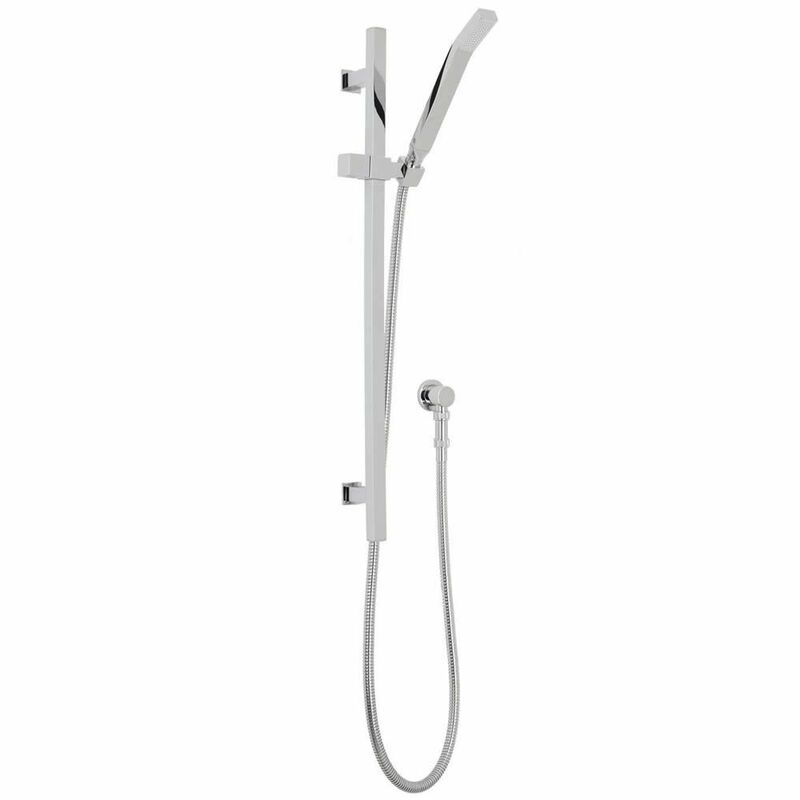 Delivering a sensational showering experience, the system features a 12” fixed square shower head with ceiling mounted arm, a slide rail kit with hand shower, a hose and outlet elbow, as well as six mist body jets and shut-off valves. 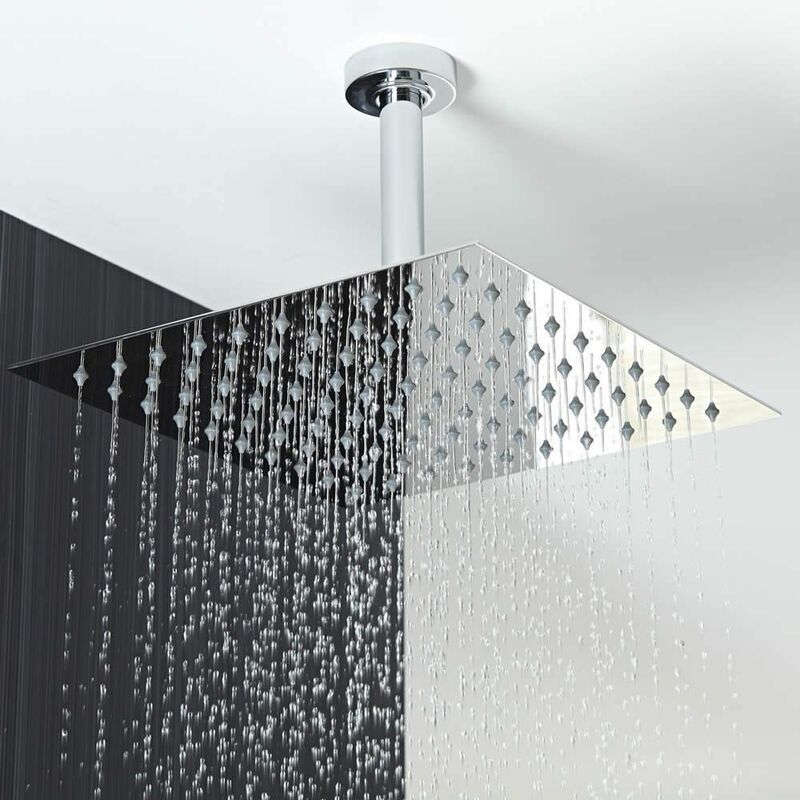 The shut-off valves provide water at a pre-determined temperature to the fixed head, hand shower and body jets, allowing the user to activate multiple outlets at any one time. 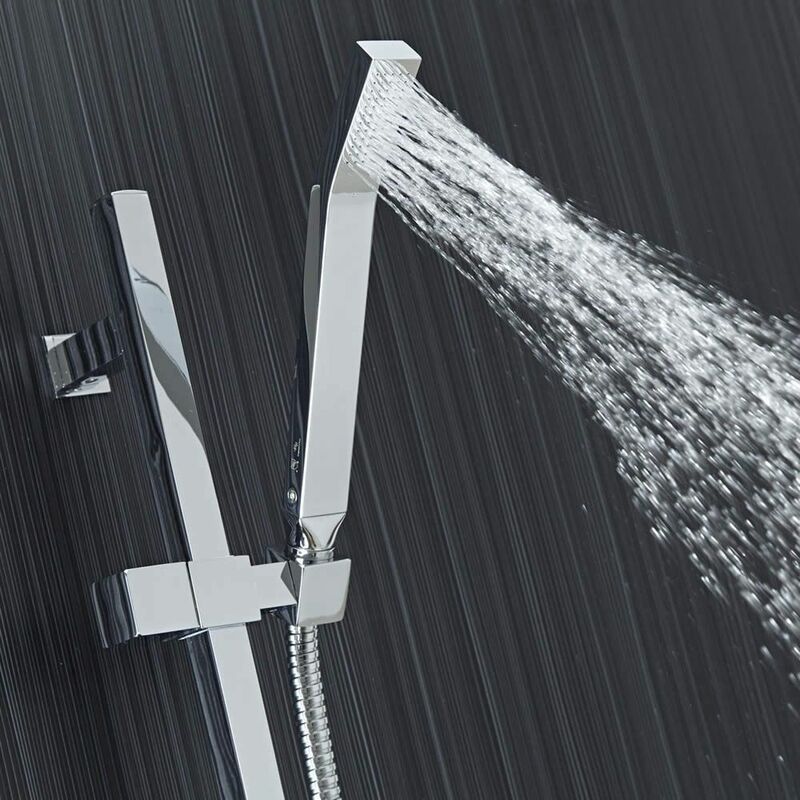 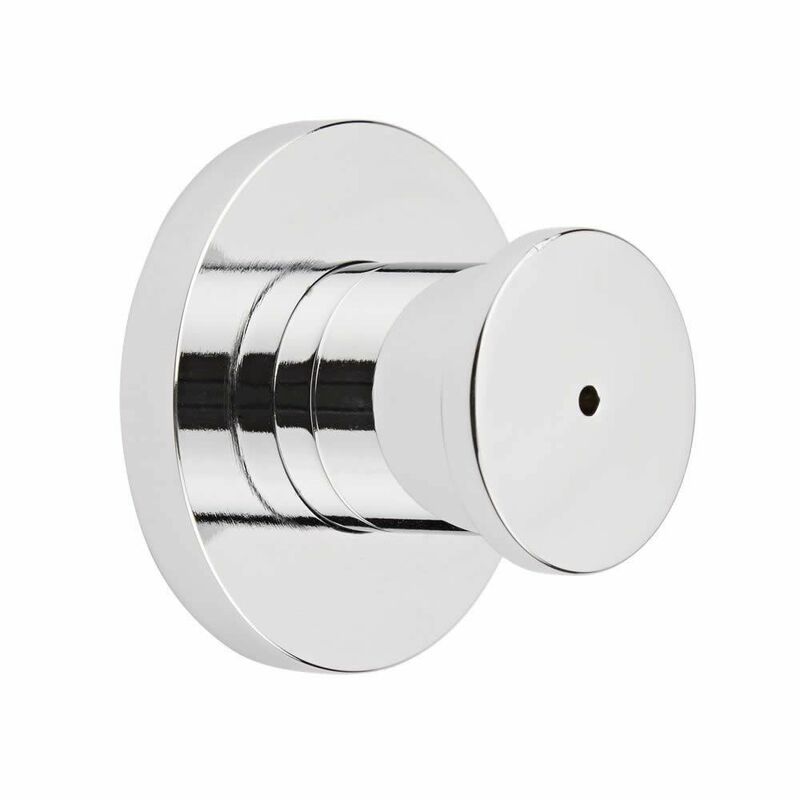 The valves feature ceramic disc technology to ensure smooth and precise control over water flow and temperature, in addition to an automatic anti-scald device for a safer showering experience.